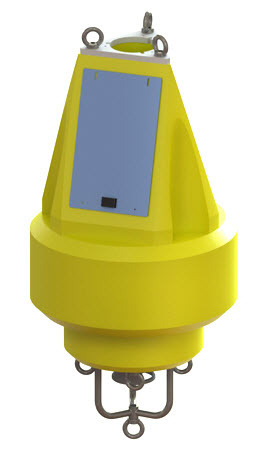 CB Data Buoy Overview - NexSens Technology Inc.
NexSens CB data buoy systems are designed for coastal or lake water monitoring applications. The floating platform supports both topside and subsurface environmental monitoring sensors with options for radio, cellular and satellite data transmission. Temperature strings, multi-parameter sondes, Doppler current meters, weather stations, and other monitoring instruments can all be quickly deployed in protected coastal waters or lakes. The buoys are constructed of an inner core of cross-linked polyethylene foam with a tough polymer skin. Three PVC pipes pass through the buoy hull for quick deployment of subsurface instruments. On the topside, a removable tower supports weather monitoring stations and beacons. 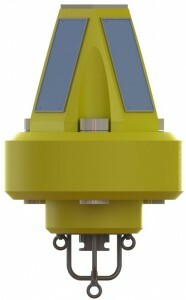 Multiple configurations are available for the CB data buoy. The standard CB package includes the buoy with no power option. This configuration is designed for use with an SDL500 Submersible Data Logger powered with D-cell alkaline batteries. CB configurations are fitted with three 10-Watt solar panels, which are harnessed together and connected to an RBP500 Rechargeable Battery Pack installed inside the buoy hull. The RBP500 contains an 8.5 A-Hr battery to power the SDL500 and sensors. The SDL500 is configured with five sensor ports for connection to industry-standard digital and analog sensor interfaces, including RS-485, RS-232, SDI-12, 1-wire temp string, 0-2.5V, pulse count and more. 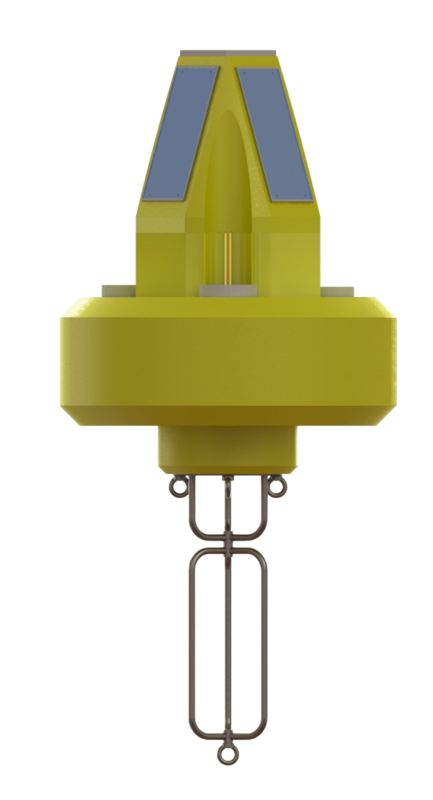 Each sensor port offers a UW receptacle with a double O-ring seal for a reliable, waterproof connection. NexSens iChart Software is a Windows-based program for interfacing both locally (direct-connect) and remotely (through telemetry) to a single data buoy or network of data buoys.